Just like how your office has gone (mostly) paperless, your wallet may soon go ‘plasticless’ as well. Slowly but surely, credit cards and IDs are being replaced by apps. Of course, like the paperless movement, this migration will likely be a slower process than advertised. That said, innovations such as Apple Pay are paving the way assertively. Apple Pay is essentially a digital wallet. The application stores your credit card data and can be accessed with a touch, utilizing fingerprint Touch ID. You can send payments, check your private data, or even simply flash your phone across an Apple Pay enabled checkout reader. You’ll even be able to use your Touch ID fingerprint to pay within apps. The video below provides some great visual examples. Passbooks, an app that stores tickets, coupons, boarding passes and essentially any items with a barcode, is a helpful tool in its own right. Seamlessly adding Apple Pay’s functionalities with those offered by Passbooks’ makes for quite a package of services. Indeed, these offerings, taken together, open the door to leaving the home without the wallet. 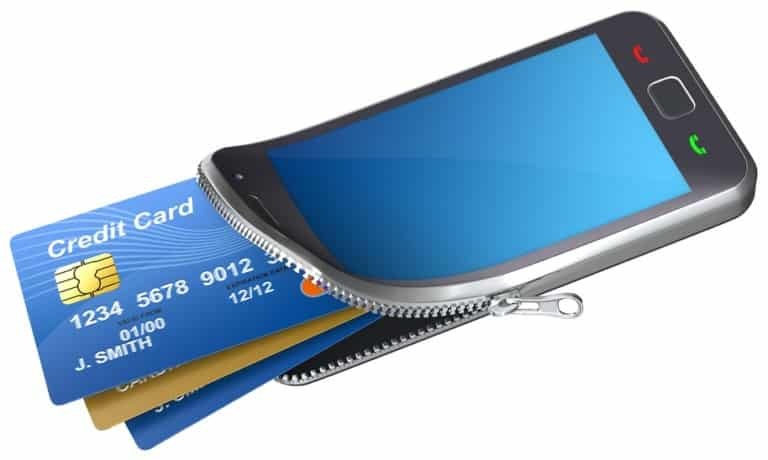 Of course, there are two major drawbacks to a digital wallet. The first concern of these concerns is the issue of limited battery life. But this problem may be mitigated sooner than expected due to some amazing new innovations that will allow your cell phone battery to charge in three minutes or less. And, if reports are accurate, this new battery will help your phone hold its charge longer as well. Ok, great. It’s convenient. But what about security, the second major drawback to consider. Apple Pay uses tokenization, which essentially replaces your actual credit card number with a randomly generated number every time you use it at a new retail or online establishment. That new number can be configured to expire after one transaction or made specific to a certain type of transaction (like Uber fares, let’s say). Which means that when data breaches occur like the ones Target and Home Depot experienced recently, you’re safe. There’s no credit card info to steal and reuse. This also removes a huge burden from sellers – and developers :). Since a person’s credit card number never even enter a POS or online payment system, they don’t have to worry about storing credit card info–which can potentially be hacked and stolen. It still won’t be perfect, but instances during which you feel the need for a physical wallet may be less common than we’d expect. In short, it’s not at all unreasonable to look at Apple Pay as a major step towards the future of transactional commerce. It might not be long before we add our physical wallets to the long list of ‘items replaced by our cell phone’. This transition is going to be interesting to watch. And there will continue to be hiccups along the way. But developers will continue to prove that we can safely walk out the door with only a cell phone weighing down our pockets (or purses). Maybe our keys are next?